Diamond Quadrilateral project envisages connecting major metropolitan cities with high speed trains to reduce the travelling time between cities. 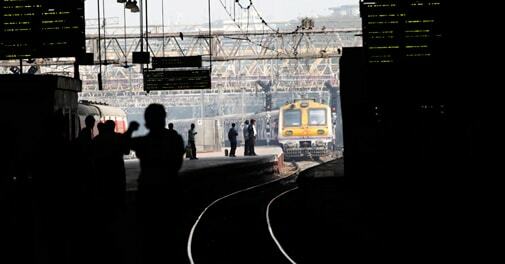 The government has outlined an ambitious plan for modernisation and revamping of railways, including a quadrilateral project linking the metros with high speed trains. "Modernisation and revamping of railways is on top of the infrastructure agenda. My government will launch a Diamond Quadrilateral project of high-speed trains," President Pranab Mukherjee said on Monday, addressing the first joint sitting of Parliament after the recent Lok Sabha elections. Currently there are seven routes, including Mumbai-Ahmedabad, Howrah-Haldia, New Delhi-Patna and Hyderabad-Chennai, where feasibility studies are being undertaken. As far as the Mumbai-Ahmedabad sector is concerned, the experts from France and Japan are already conducting their feasibility studies. "They are checking out whether it will be viable to cover the distance between these two cities in an hour or so," a senior Railway Ministry official said. A major part of the proposed 543 km Mumbai-Ahmedabad High Speed Corridor passes through Gujarat. With Prime Minister Narendra Modi at the helm, it is expected that approvals will come faster, including acquisition of land for route and stations. Besides plan for bullet trains at 350 km per hour speed, the national transporter is going ahead with semi-high speed train project between Delhi and Agra on the existing track. As per the plan, a semi-high speed train is expected to run at 160km-200km speed per hour. "We are hopeful that the semi-high speed train will be launched in Delhi-Agra sector by the year-end as work is going on full steam," the official said. Fencing of tracks at certain stretches, provision of thick web switches, upgrading of signalling system and strengthening of the curves on tracks are being undertaken by Railways for the semi-high speed train on Delhi-Agra route. Besides Delhi-Agra, railways will take up the semi-high speed train project on Delhi-Kanpur and Delhi-Chandigarh route also in phase wise. While bullet trains require dedicated elevated track, semi-high speed trains will run on existing track. "We have to carry out certain upgrading of tracks including fencing of certain areas to ensure that the trains run at a minimum of 160 km speed," he said. Railways, which is also executing Dedicated Freight Corridor project for exclusive goods movement between Delhi and Mumbai and Delhi and Kolakata, expect it to be operational partly by 2017.